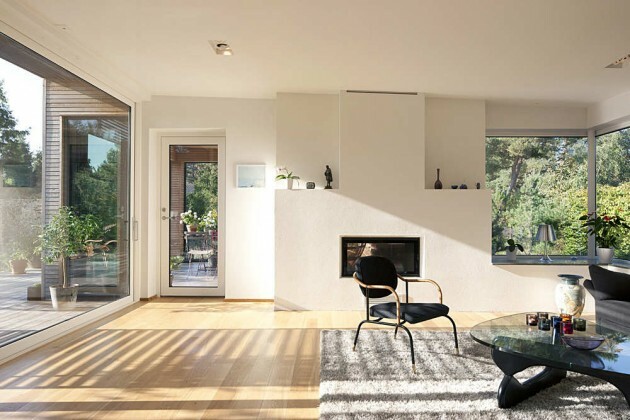 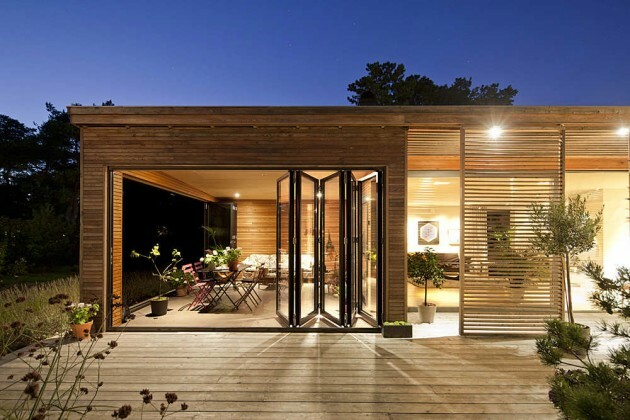 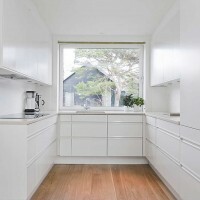 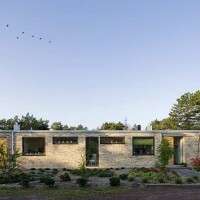 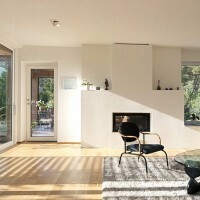 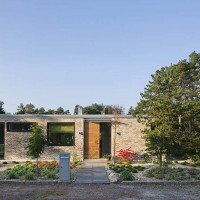 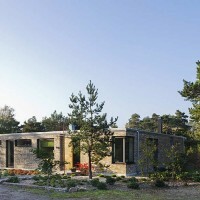 Johan Sundberg designed the Håkansson Tegman house in Höllviken, Sweden. 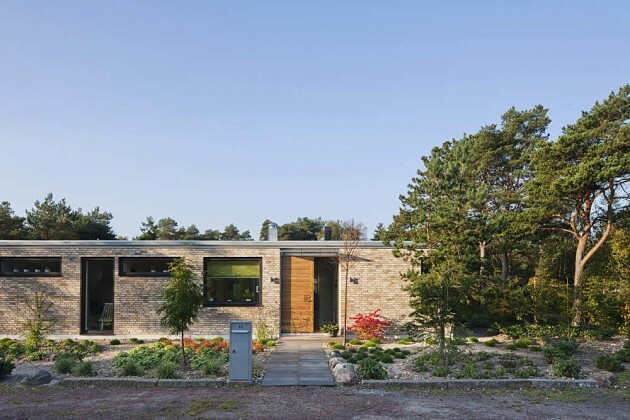 Höllviken south of Malmö was originally a seaside resort, but the forested rows of summer houses are continuously being transformed into a carpet of permanent housing. 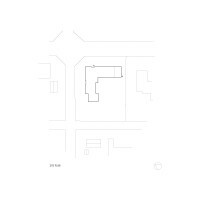 The site is a somewhat complicated corner lot with roads to the north and west. 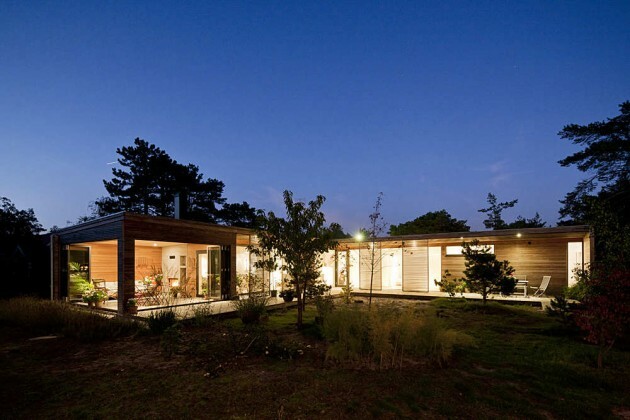 The client is a middle-aged couple with children who have now left the household. 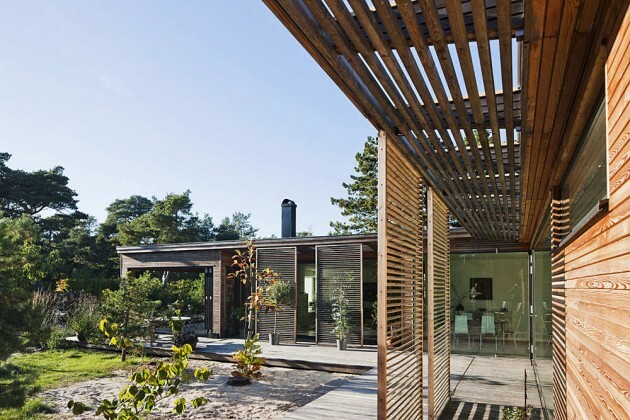 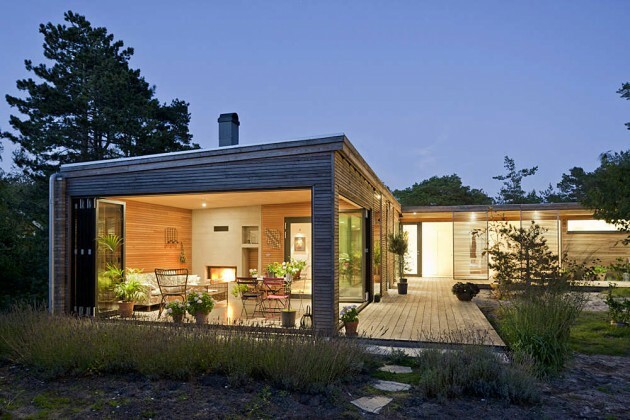 They commissioned a modern and nature-oriented one story house where sensuous qualities were the most important parameters throughout the design process. 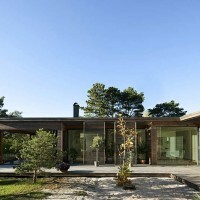 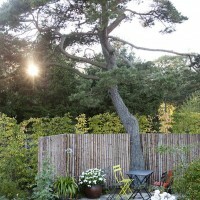 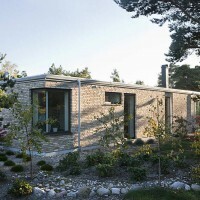 The house is angled around an inner garden and, much like the Bergman Werntoft house, rests on the tradition of the Danish atrium house from the 60s and 70s. 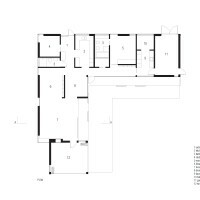 Three small bedrooms crowd together in the northern wing of the house, while the western wing is a continuous sequence of spaces consisting of a kitchen, dining room, library, living area, and winter garden. 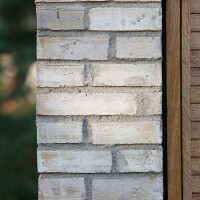 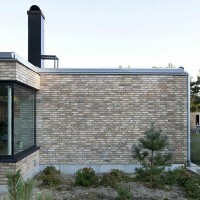 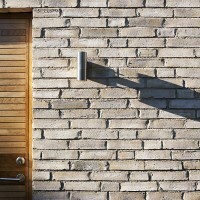 The outer walls along the streets are clad with Pedersen clay bricks working as a screen. 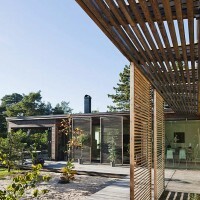 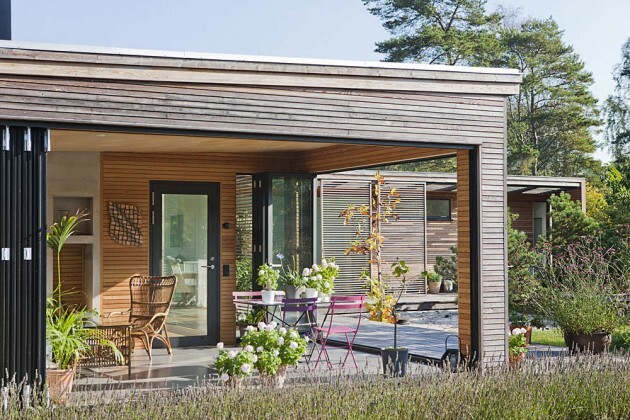 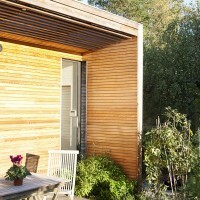 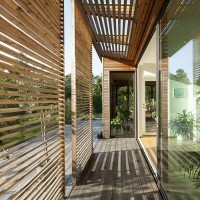 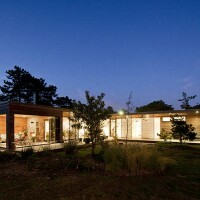 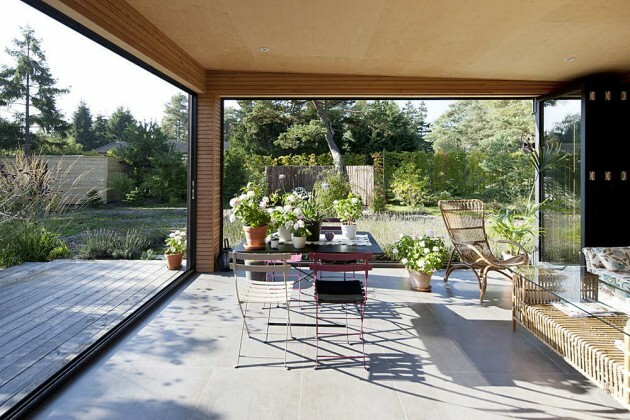 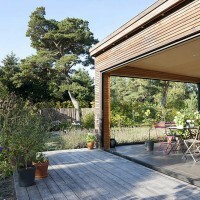 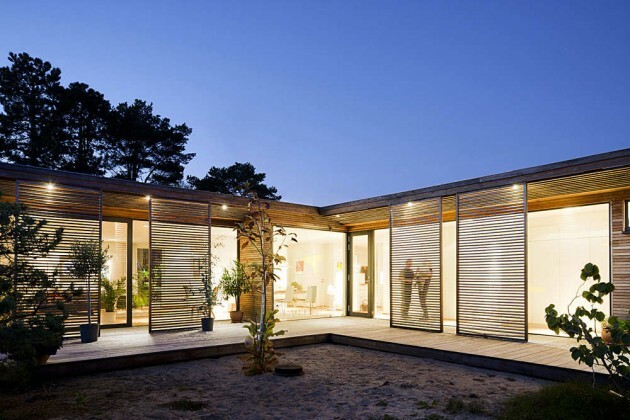 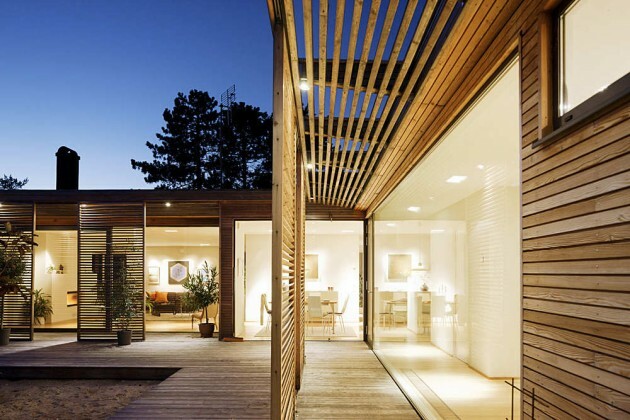 The stucture is a steel-enforced timber frame. 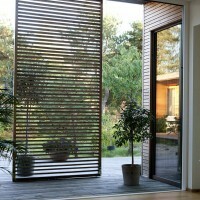 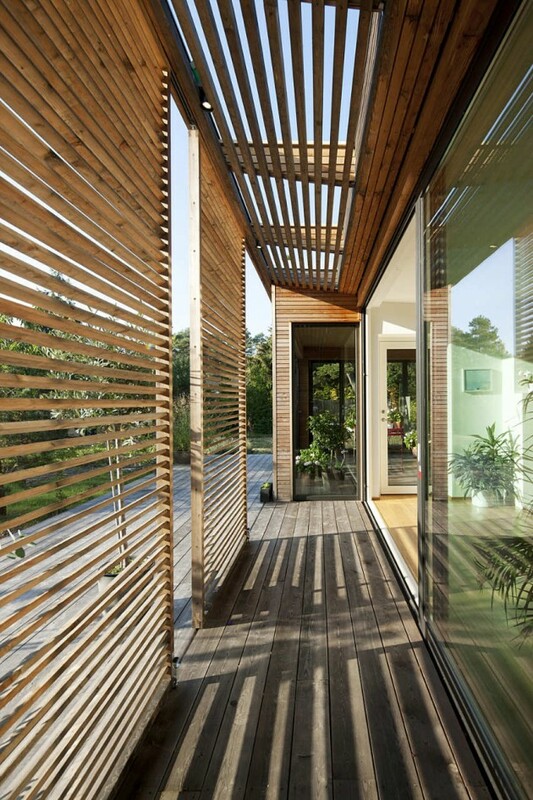 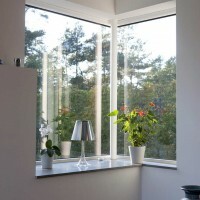 Windows and sliding glass doors are made from Schüco aluminum profiles. 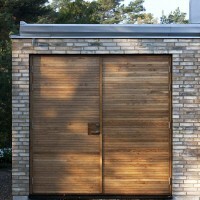 The front and garage doors are custom made from ammonium smoked oak.